Lime (or lemon) curd is a great way to use up eggs. I use whole eggs, but if you have some left over yolks you that works too. 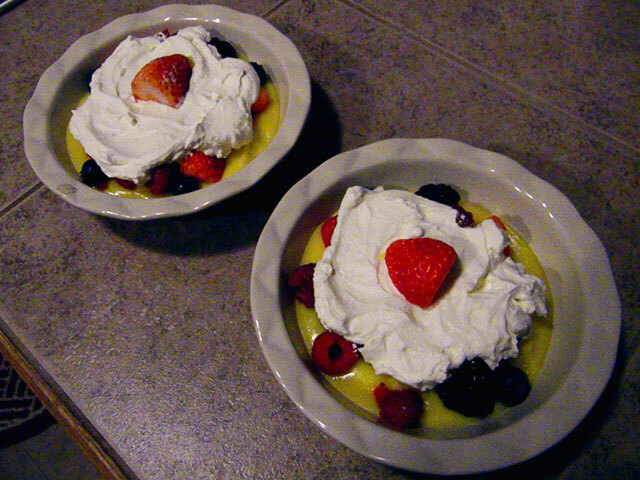 I also had some yogurt made with whipping cream left over from the holidays, which went perfectly with this. You can also make a tart crust and prepare as a pie if desired. Looks great! It’s going to be warmer in a few days here in Florida, so I may make this over the weekend. 🙂 Yum!